PONTE VEDRA BEACH, Fla. — Late Sunday afternoon, during one of the craziest final rounds ever at the Players, while a litany of big-time players were losing their minds, with the Twittersphere in an uproar and the drunks at the Stadium Course in full-throat, Rory McIlroy was an island of tranquility. The game’s most talented tease was once again torturing his many fans with the possibility of more closing calamity. A watery double bogey on the fourth hole made it clear that this Sunday would be another brawl. 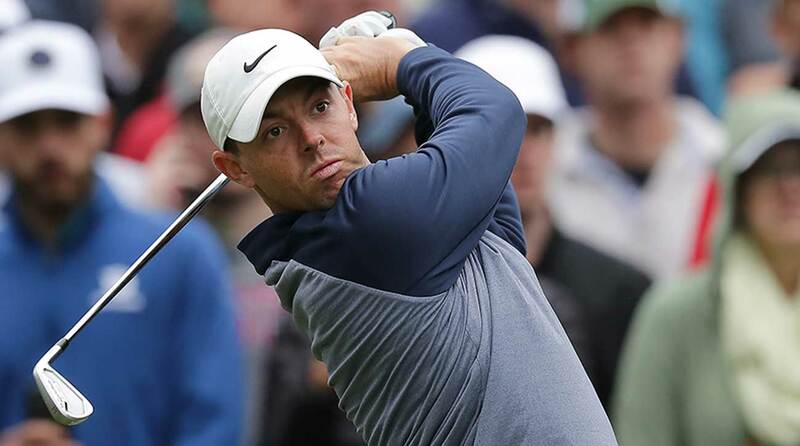 McIlroy had battled his way to a one-stroke advantage playing the 14th hole, having fought off seven challengers who would enjoy at least a share of the lead during the round. But after a perfect drive, McIlroy pulled his approach into a greenside bunker, on the short-side, and then shoved a five-footer for par. Tie ballgame, at 14 under. On the 15th tee, Rory unsheathed the game’s most lethal weapon, his driver, but he blocked his tee shot into a bunker. You could feel the panic — in the Sawgrass gallery and among the army of electronic fanboys, all of whom have had their hearts broken by McIlroy too many times of late. As he has failed over and over on Sunday during a year-long winless drought, Rory’s putting had been called into question, but more damning was that his heart had, too. The doubts were becoming as heavy as the garish yellow bag his caddie Harry Diamond was lugging around Sawgrass. But amidst all the noise, McIlroy preached patience and radiated the certainty that better days were ahead. He talked about how happy he was away from golf — “It’s, I think, maturity…not letting golf define who I am as a person, trying to keep the two things very separate” — and how settled he felt between the ropes. It was hard to know whether this was genuine or cliché…until he was staring down his second shot on the 15th hole on Sunday. Rory McIlroy had been waiting for his next win since the Arnold Palmer in 2018. He got it on Sunday. From 180 yards out he ripped a 6-iron to within 13 feet (“the best shot of the day by far”) and then buried the putt, tying Furyk’s clubhouse lead. On the next hole, a gettable par-5, McIlroy summoned three perfect shots for a tap-in birdie that gave him the lead. Now he stepped into the ultimate arena: the tee of the island green 17th. You could feel the entire golf world holding its breath. How much heartbreak can we take? If McIlroy flubbed this test the low roar of criticism would have turned into a howl. “I know that it’s going to happen because of who I am and what I’ve done in the past or whatever,” he says, but it is not the social-media snark that counts, not the man behind the keyboard who points out how the strongman stumbles. The credit belongs to the man who can hit “a little flighted hold 9-iron” just over the bunker into the middle of the green, as McIlroy did, his ball landing blissfully on terra firma. Par. On Sawgrass’s 18th he stared into a cold, hard wind, and then unleashed hellfire and brimstone. One of the greatest drivers of all time produced one of the best tee shots of his life, splitting the fairway and leaving only a baby 8-iron. McIlroy followed with a deft par, a finishing kick as gaudy as the gold trophy it brought him. When it was over there was only the slightest of fist-pumps and no smile, just a big, billowing exhale — a peek at the heavy burden that comes with McIlroy’s extravagant talent. It is a short list of players who have won four major championships and a Players: Nicklaus, Woods, Trevino, Mickelson, Floyd and now McIlroy. He has restored himself as the favorite for next month’s Masters as he seeks the one thing that has always eluded him, but on Sunday night McIlroy was unbothered about the challenge that awaits at Augusta. He is about to turn 30, and has no interest in stoking the hype machine. And yet it means so much more to the larger golf world. McIlroy is back. Back where he belongs.